One thing is for sure: we are very passionate about what we do! 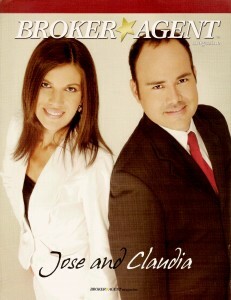 Since we are both full time Realtors, Claudia and I breathe and talk real estate all the time! Does it get boring? No! We like to switch and spice it up and to us every day is different. And last but not least…helping people like you! See, I told you no day is ever the same 😉 Here’s us showing one of our Lake Mary listings to NBA star Shaquille O’Neal. Jose was born and raised in Villavicencio, Colombia. After graduating from college in Bogota in 1998 with a degree in industrial engineering, he decided to further his education in the USA. As Paso Fino horse trainer and manager he earned a living while attending Murray State University in Murray, KY (yes, Kentucky, and yes, Murray IS a really small town!). Jose graduated in 2002 with an MBA. 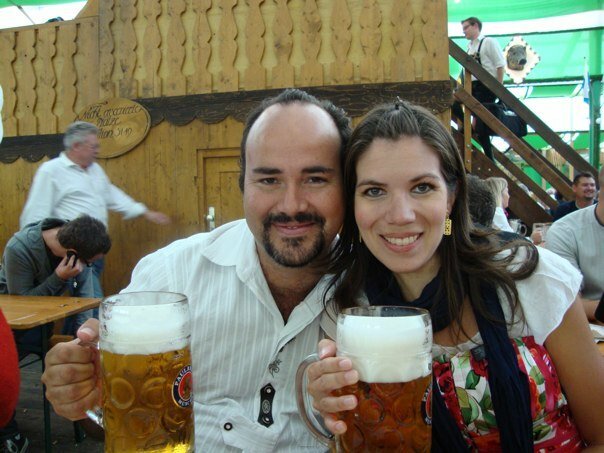 Claudia was raised in Ingolstadt, Germany where she graduated from Regensburg University with a BA in American Cultural Studies. During her studies she also attended Murray State University, yes, in that same little town where Jose was living at the time. (Germans can click here to read more about her experience as a German in the USA in this interview on The American Dream or here to read an interview with the Donaukurier newspaper). Claudia is member of the German Language, German Kids and German Girls Night Out groups on Meetup. Not long after Jose and Claudia met, Jose was offered a job in Orlando in 2003. Claudia soon followed him to Orlando, completing a 3 month internship at an advertising agency. After being together for about a year it was clear to them: they would not part! Claudia left her life in Germany to move to Florida. Soon after she started her double major AS degree in Graphic and Web Design at Valencia Community College (she graduated in 2010). 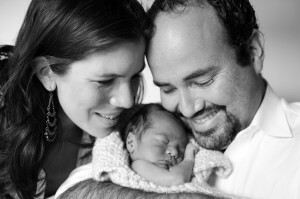 In 2004 the young couple moved to Sanford, FL where they now reside with son Nicolas (born 1/11/11) and Lukas (4/12/2013). 2004 also marked the year Jose earned his real estate license. He started as a sales associate at Watson Realty in Heathrow FL. By 2005 the couple had decided to jump full time into real estate. In 2006 Jose and Claudia earned the Rookie of the Year award at Watson Heathrow and since then were one of the top sales teams company wide. 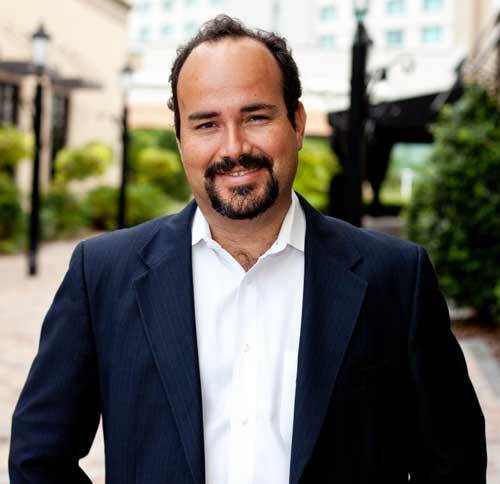 When they decided to leave Watson Realty in the summer of 2011 they had become the top selling team at Watson Heathrow. …and the list goes on and on. As we said, Real Estate never gets boring for us! Read our feature in Broker Agent Magazine here. This article tells our personal real estate story and highlights how we can help both buyers and sellers with all their real estate goals. Our priority is to make all your real estate dreams come true! In our free time you ask? So what does a Realtor couple do in their free time? Believe is or not, we LOVE driving through neighborhoods and new construction communities exploring new possibilities for our buyers. After all, we are real estate matchmakers and need to make sure every one of our buyers finds not only the perfect home but also the perfect neighborhood for them! Well, as avid blogger and member of the Central Florida Lady Bloggers, Claudia loves to blog at Sanford365.com, her community web site all about Sanford. In 2013 she was able to donate $3,000 to a Sanford charity thanks to her efforts with the Orlando Realtor Association. Her other interests include design (mostly graphic and web), fashion, cooking (ok, recently started, must be the “mom gene” kicking in) and taking and sharing lots and lots of pictures (she loves to experiment with all of her cameras and lenses and recently also acquired a drone for aerial photography! She LOVES music (thank goodness for apps like Pandora and Spotify!) and could spend hours on her iPad. Jose is not as versed as a blogger but still maintains his Spanish Real Estate Blog, CafeConJose.com. He is a huge soccer fan (Santa Fe of Bogota to be exact, but he will root for Bayern Munich when Claudia is around) and recently picked up running and swimming as a sport. He still is a fan of the Paso Fino horse breed and follows the national shows (sometimes even attending). Jose and Claudia’s common interests are obviously spending time together and as a family with their sons Nicolas and Lukas. 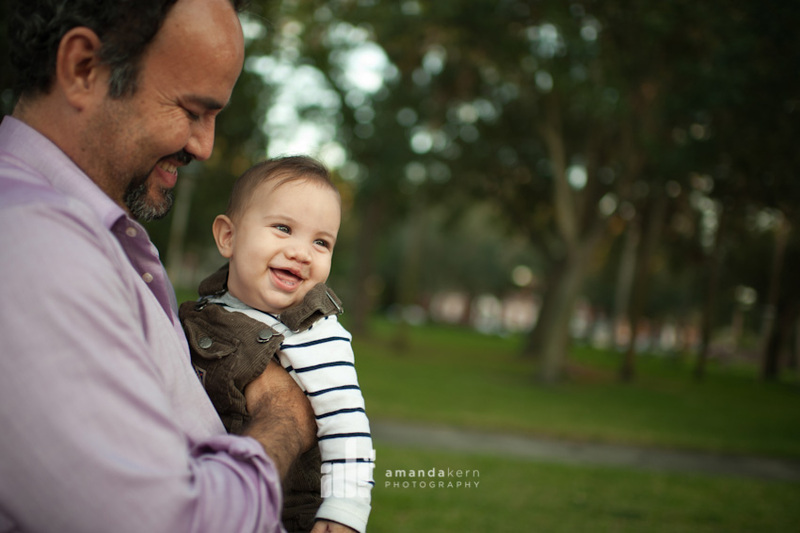 One of their favorite weekend activities is visiting the Sanford Farmers market and strolling through historic Sanford afterwards (Ft Mellon Park playground included) or visiting the Lake Eola Farmers Market in Downtown Orlando for a picnic with friends. They also love to hang out with friends, be it at a local wine/beer bar, a community event or just at home on their back porch. Every now and so often they travel to Colombia and Germany to visit their families. Traveling through Europe is always a highlight in their busy lives. Sometimes real estate seems just a tad boring, doesn’t it? We like to keep things simple enough so they can actually be enjoyable. It’s kind of like the HGTV concept: watch an episode of House Hunters and you’ll think, “Wow, this is actually easy! I can go out, look at 3 homes and pick the best one”. Rest assured, it is not that easy and there is a lot of work to be done “behind the scenes”. However, we strive to keep it easy for our customers so they can have the most enjoyable experience out of buying or selling a home. We started the site as a first time home buyer guide – a no brainer since that’s about 50% of our home buying customers. Today the site has also become a useful tool for most of our buyers and sellers as we offer one of Orlando’s best home search and real estate data platforms as well as useful info about Orlando’s neighborhoods. And the hard work paid off: our blog was voted Best Real Estate/Business Blog by Orlando Sentinel readers! In 2012 we decided to produce our own little real estate TV show dubbed “Orlandology“. We managed to film one episode before Claudia got pregnant (well, technically she already was while filming it…) and things got “busy” again in our lives. More episodes are definitely in the making so stay tuned. Ready to look for a home or thinking about selling and looking to compare recent sales prices? Our advanced map search is easy to use and puts you virtually in front of every listing in all of Central Florida. Start here! 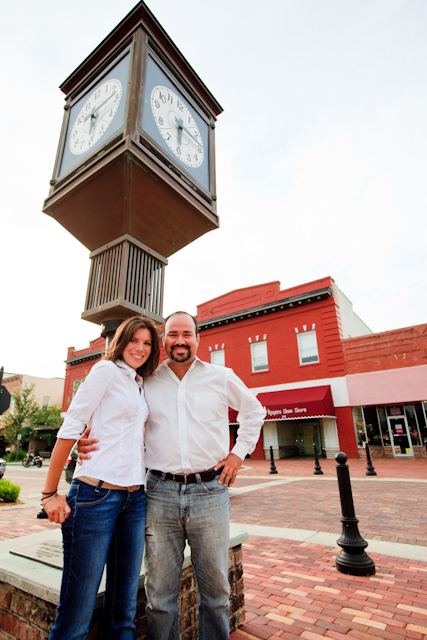 Jose & Claudia – Experience you can count on!